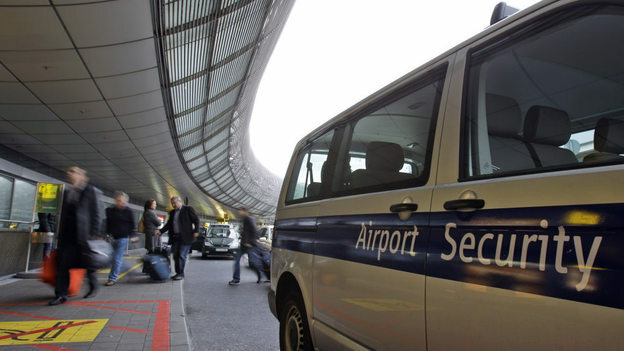 "Security is in evidence at Duesseldorf International Airport in Germany on Saturday. Authorities on three continents thwarted multiple terrorist attacks aimed at the United States from Yemen, seizing two explosive packages addressed to Chicago-area synagogues and packed aboard cargo jets. The plot triggered worldwide fears that al-Qaida was launching a major new terror campaign." Security is in evidence at Duesseldorf International Airport in Germany on Saturday. Authorities on three continents thwarted multiple terrorist attacks aimed at the United States from Yemen, seizing two explosive packages addressed to Chicago-area synagogues and packed aboard cargo jets. The plot triggered worldwide fears that al-Qaida was launching a major new terror campaign.